Guy Keulemans is a multidisciplinary designer, artist and researcher. In his studio practice, he produces critical objects informed by history, philosophy and experimental methodology. Major themes are repair, generative processes, and the environmental impacts of production and consumption. Guy has a research interest in the effects and materialities of threats particular system conditions present to sustainability. He is interested in traditional Japanese culture and aesthetics in relevance to contemporary socio-environmental ecologies, in particular to the problems of waste and pollution created by product design. Guy’s research is interrogated and rebodied through material experimentation within his studio practice. Guy has a Masters in Humanitarian Design from the Design Academy Eindhoven and a PhD from the University of New South Wales’ Art & Design, where he also lectures. He has exhibited in museums and galleries in the Netherlands, Germany, Austria, Poland, including ARS Electronica, the Marres Centre for Contemporary Culture, COCA Torun and Platform 21, and in Australia, at Object, Craft ACT and Craft Victoria. 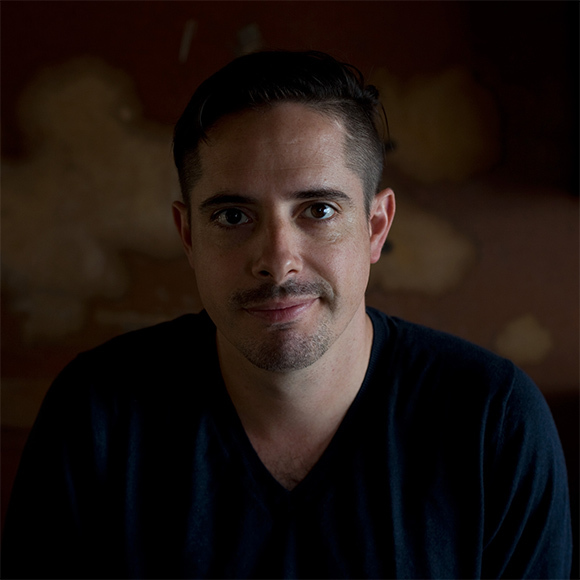 In 2015 Guy was resident artist at JamFactory Contemporary Craft & Design Centre in Adelaide. 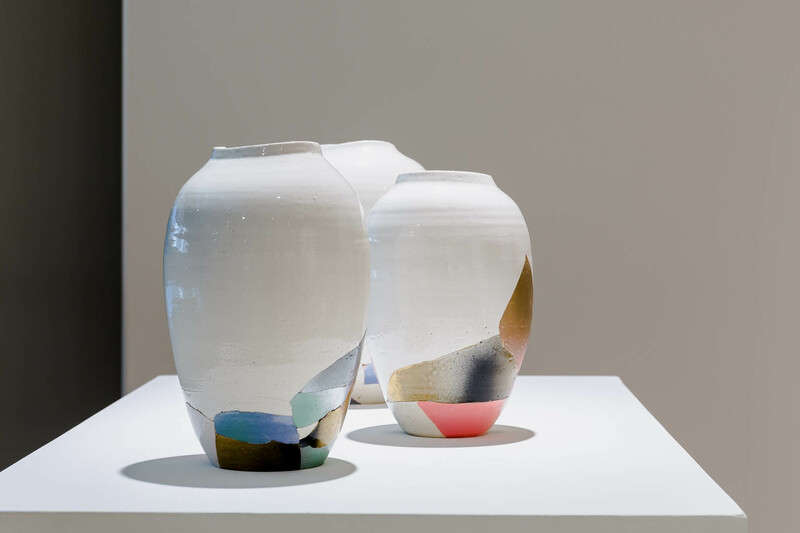 His works Terra Rings and One White Cube with collaborator Kyoko Hashimoto are in the permanent collection of the National Gallery of Victoria, acquired in 2017. 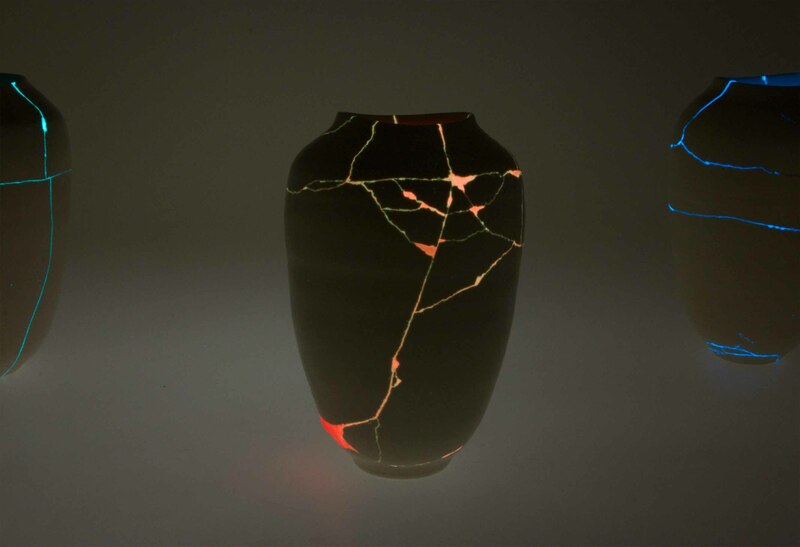 Guy Keulemans, Archaeologic 3 - pot repaired with red/orange photoluminescent pigment, 2015. Thrown and fired to bisque by Kiyotaka Hashimoto. 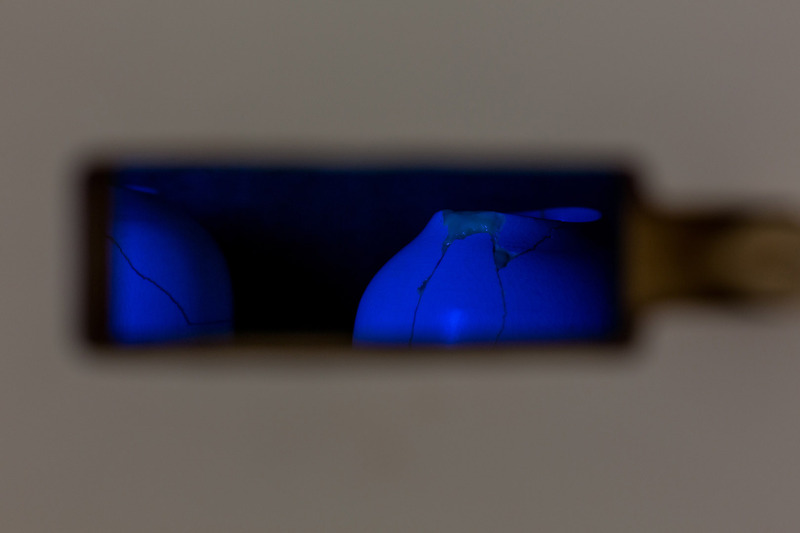 Archaelogic Vases (series 3), 2015; ceramic and photoluminescent glue. 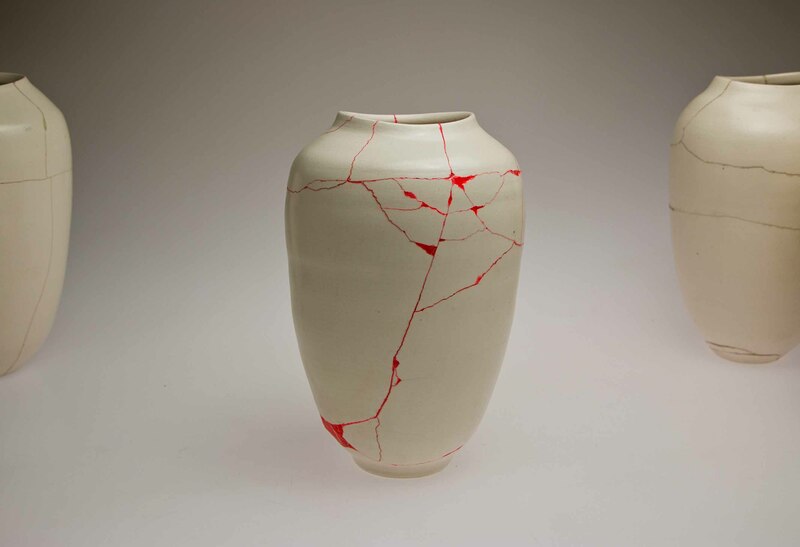 Thrown and fired to bisque by Kiyotaka Hashimoto. Guy Keulemans, Slow motion video of a pot breaking, from the fourth series of Archaeologic.